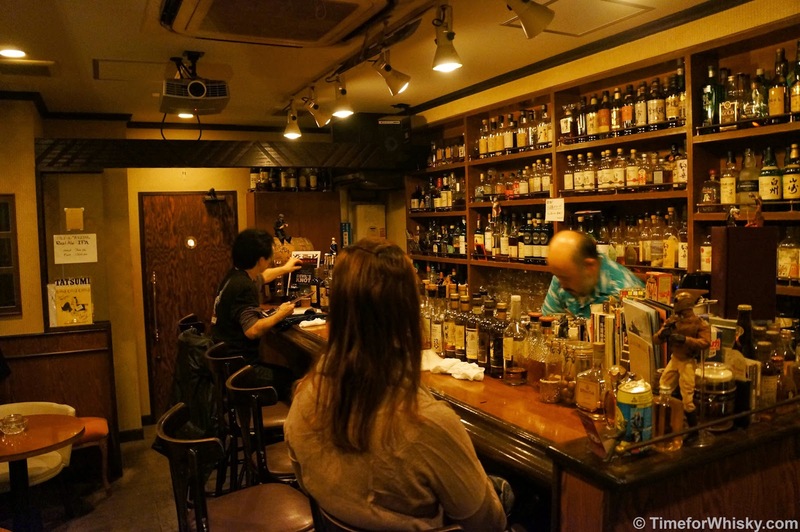 There are many brilliant whisky bars in Japan, but Zoetrope (a Tokyo institution for 9 years) was firmly at the top of my list when planning our Japan trip (actually, it's been there for a few years, since I first read about it on Nonjatta). 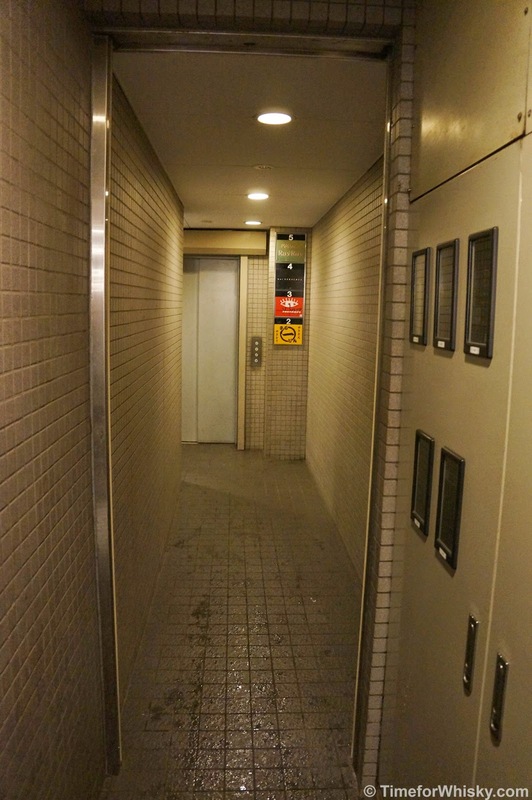 Zoetrope (technically "Shot Bar Zoetrope*"), like many Tokyo bars is hidden in a nondescript city building, up a few floors, accessed by a slow and dinky lift. Now while the term "shot bar" might recall images of a dingy tourist bar in Hong Kong's LKF, or a seedy Kings Cross bar (before the lockout laws turned into a sleepy wasteland post-2am), nothing could be farther from the truth. 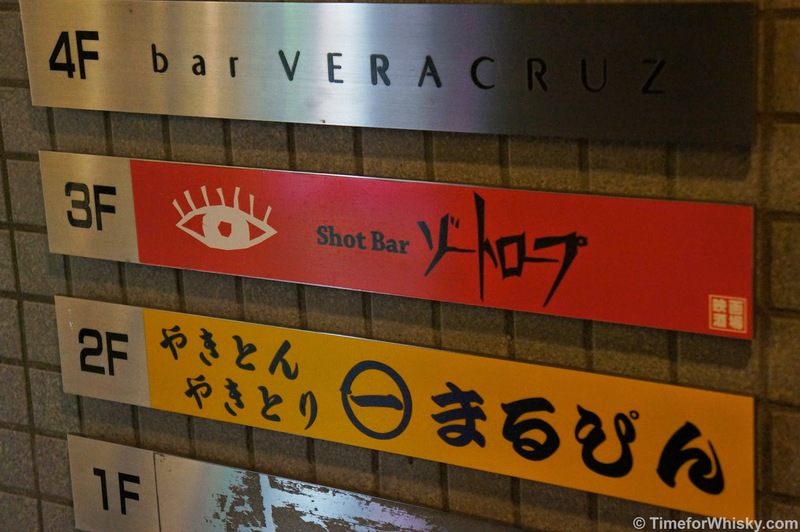 All over Japan, it seems, "shot bar" just refers to a bar with a collection of spirits (in many cases, especially here, bloody fine ones). Yes - Ichiro's Malt "Cards" bottles, that aren't empty, and don't cost an arm and a leg for a dram! Suffice to say that any remaining bottles are incredibly rare, sought-after, and usually cost a pretty penny. 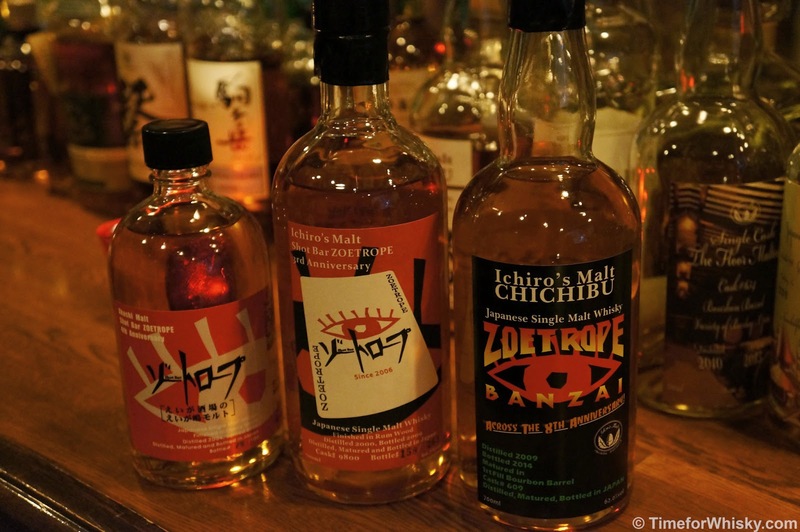 We've been in bars with Ichiro's Malt bottles available, but usually one or two, and usually for far more than I'm willing to pay for a dram of whisky (and I'm willing to pay a lot for certain whiskies...). So seeing 8+ available, generally for under ¥3000 ($30AUD / $185HKD) for a dram, with many closer to ¥2000, was a very welcome sight! 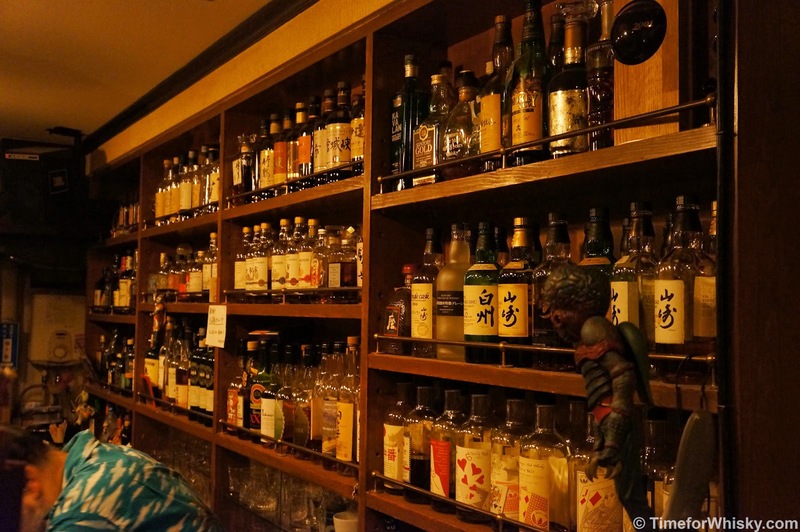 The fact that the bar also did half-drams for anything over ¥1600 was an added bonus (they did previously have a Colour Joker available for ¥2800/dram, but unsurprisingly had sold out). 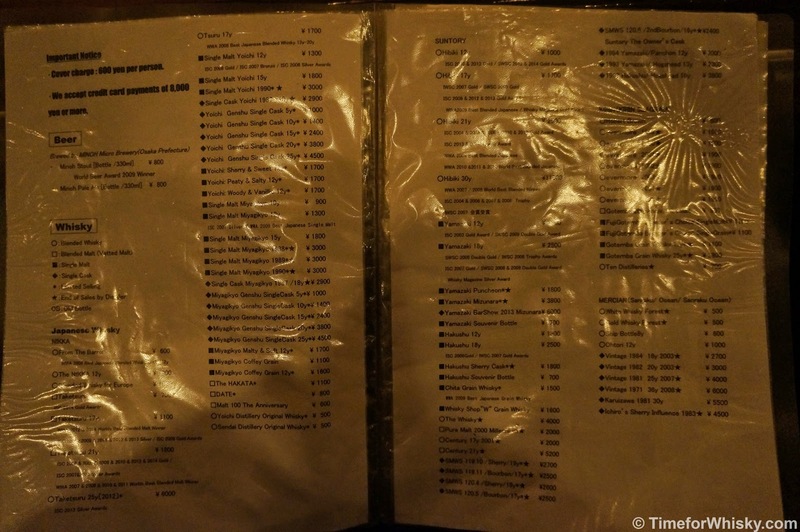 ..well, maybe with the section of the menu labelled "we don't recommend the products below", which included gems such as "Royal Crystal" (¥400), Single Malt Isawa 1983 (¥800) and "Mushu Cask Strength" (¥1800). We didn't venture into this territory, but I have tried a 1984 Isawa previously and it was drinkable (just not hugely enjoyable). You know a bar is popular and well-loved (usually) when they have their own bottling (such a bottling also being one of my #101drams whiskies). 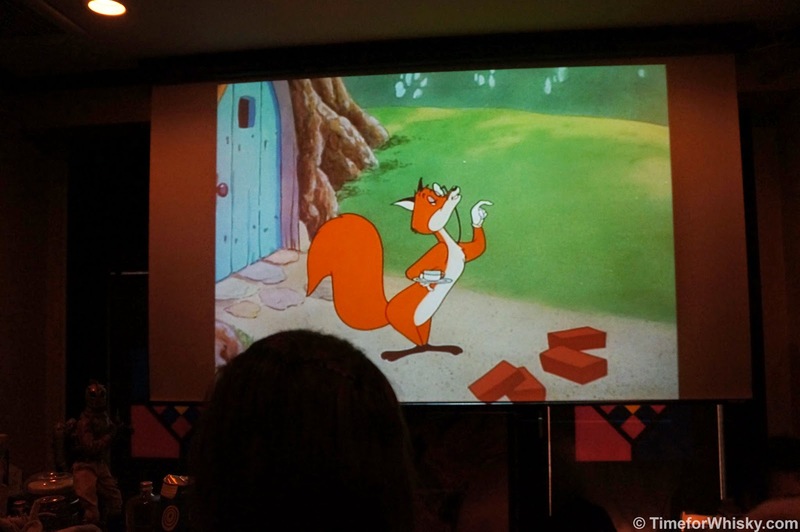 Zoetrope doesn't have one. They have three. A Chichibu single cask, a Hanyu single cask, and an Akashu two-cask vatting. The first two for ¥1500, the latter for ¥1000 (and they were all very enjoyable). 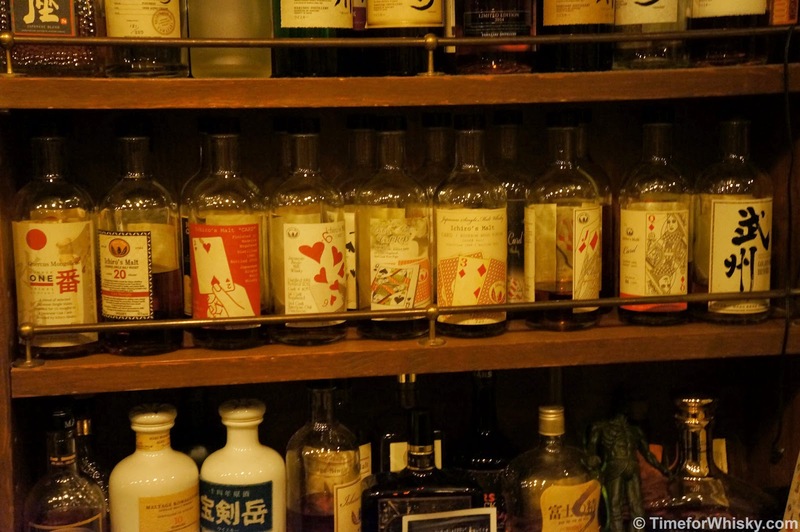 Zoetrope is a Japanese whisky institution, and with good reason. 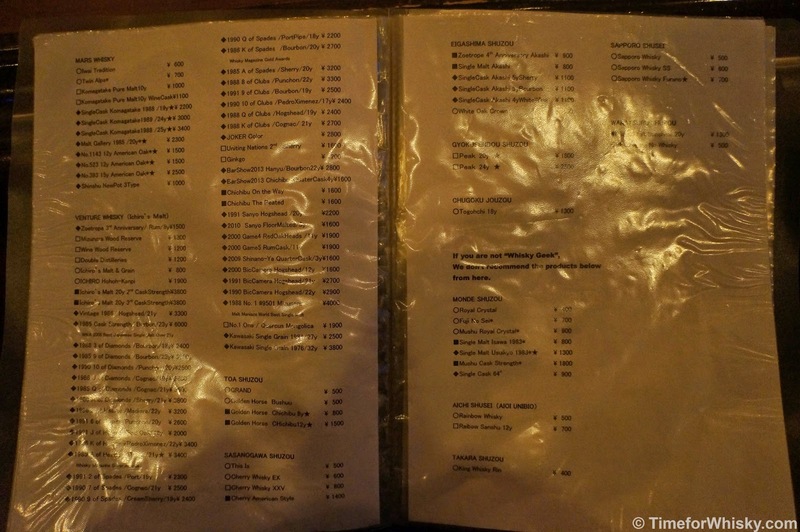 The selection is fantastic, the bar itself inviting, and the prices excellent. 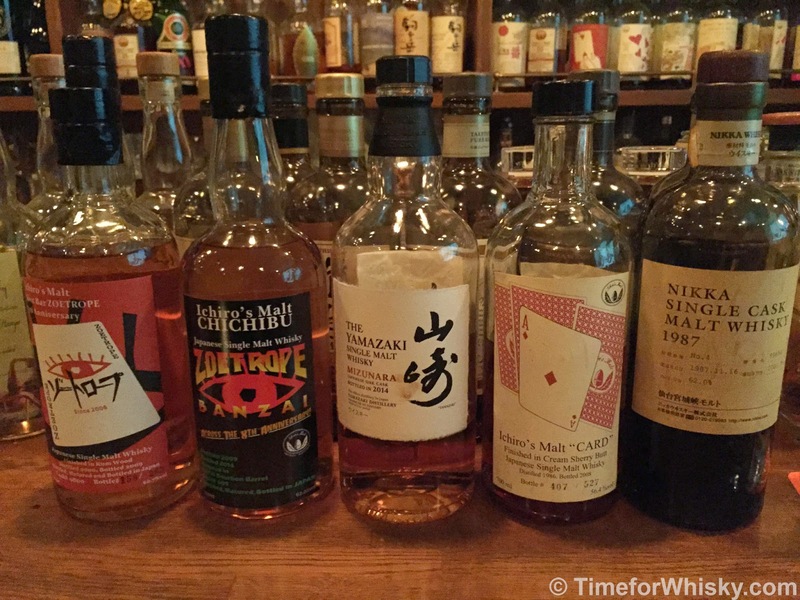 With the popularity of Japanese whisky soaring though, we recommend going sooner rather than later. Atsushi relayed to us the story of a recent limited bottling he tried to get his hands on from the department store Isetan. Despite being there at opening time (on the morning the whisky went on sale), he simply wasn't quick enough to run down to the liquor department, and by the time he got there, it was all gone... (no doubt to appear on an auction site at 5 times the value later that night). Tasting notes up shortly (edit: here).